Hi everyone! 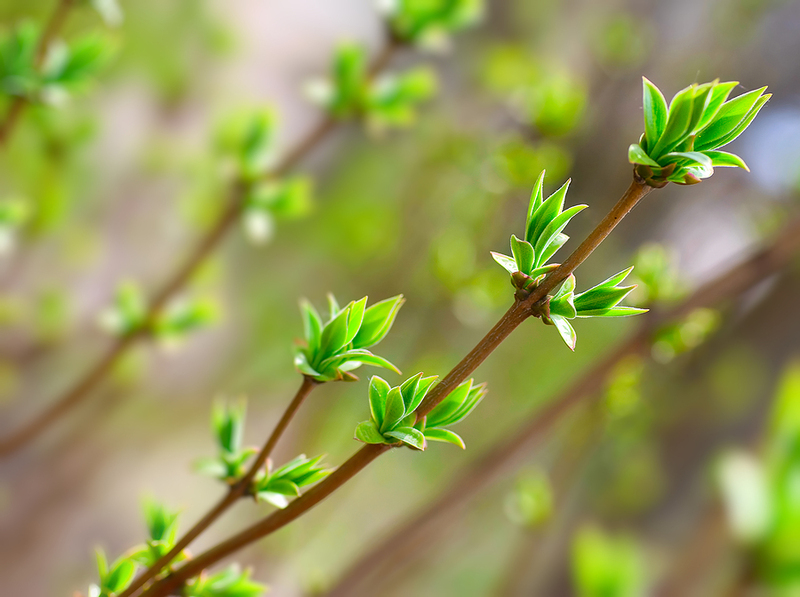 It's finally Spring - the time of greening. 11th century German Abbess Hildegard of Bingen, one of the most respected ecologists of her time, called the greening of spring, veriditas, (or, viriditas), which translates from the original Latin as a partnering of green and truth. Other writers have defined veriditas as spiritual and physical health, freshness, vitality, fertility, fecundity, fruitfulness, growth, and the healing greening power of Nature or God. Science fiction writer, Kim Stanley Robinson, uses the term to mean "the green force of life, expanding into the Universe". And yet another definition is, "the divine freshness that makes human creativity and fruitfulness possible". Regardless the later definitions or descriptions, Hildegard of Bingen felt that we humans are each fertile "earth" with our own "moistness, verdancy and germination power". She believed that we are all co-creators, containing the juice of creation within our souls. Her primary message to us all was to stay juicy, wet, green and moist so we can blossom and flourish, fight injustice, heal the earth, help others, and save the cosmos. So, what can Hildegard's wise words say to us today? And how can we apply them to our own lives this Spring? After a long, cold, hibernation-brown period of winter, (or a time of unbalanced living or a period of compassion fatigue, itself), we all need some of the veriditas of Spring. We need to be brought back to life, to make ourselves "juicy, wet, green and moist" again so our work and our lives can blossom. The first step toward reclaiming our aliveness is to make an assessment of the parts of our lives that are tired, brown and dessicated. Where do you need a little greening - in your physical life, your emotional life, your spiritual life, your relational life, your financial life, your work life, your creative life, your artistic life, your social life, your parenting life, your recreational life, your life in your home? Once we have determined where the dry places are, there are millions of individual options for encouraging our sap to rise. Here are a few greening possibilities that others have shared - if you have some more, please add your own. 1. Go outside in the newly longer days. Do whatever you can out of doors. Soak in the longer hours of light. Move your exercise outside again. Feel the March winds on your face. Walk in the grass with your bare feet. 2. B-r-e-a-t-h-e deeply of the spring air, noticing the scents of daffodils, cherry blossoms, rain, freshly mown grass and laundry airing on the line. 3. Open your windows and listen to the birdsong - a sign of new life! 4. Revamp your diet to include more locally-grown fresh fruit and vegetables. Try a green smoothie to boost your energy and stabilize your blood sugar. 5. Spring clean - yourself and your environment. Out with the old and in with the new. Get a pedicure or a massage. Try a new haircut or make-up. Cull your wardrobe. Buy a new T-shirt. Wash the windows. Sew some fresh and simple cushion covers. De-clutter the shed or garage. 6. Plant a garden that will feed your soul but not overwhelm you with weeds and work. 7. Get up with the sun and spend your first half hour in quiet stillness - meditate, pray, be. 8. Sit outside with a cup of tea and your journal. Write about your needs, your feelings, your dreams, self care, self intimacy, self nourishment. Create a gratitude or memory journal. 9. Think of the things that make you happy and practice taking in the good several times a day. 10. Do something creative every day. Write. Paint. Do woodwork. Quilt. Sing. Play an instrument. Dance. Film a video. Make pickles or bread. Arrange flowers. 11. Read something inspirational every morning and every night. 12. Laugh out loud - a big, belly-shaking, tear-stirring kind of laugh - at least once a day. 13. Spend time with people you love and tell them you love them. 14. Learn to live within your means and see a financial consultant to plan for your financial security. 15. Get sufficient sleep at night. 16. Have regular, deep, thoughtful, transparent conversations about the things that matter. 17. Move your body whenever you can. Don't just sit - get up and move around. Stand up to do activities you might normally do sitting down. Exercise during TV commercials. Turn off the TV and go for a walk. 18. Make appointments for your medical and dental checkups and for a mental health tune up. 19. Take a parenting class even if you've been a parent for a long time. There's so much great new information to learn. 20. Take a spring vacation with your partner to rejuvenate your relationship. New Workshop: Save the Date! Keep informed of upcoming workshops and events. Hi! I'm Jan Spilman, the founder and principal of Caregiver Wellness Workshops, a Vancouver-based provider of workshops and retreats dedicated to the healing, refreshment and revitalization of people-who-help-people. I am a Compassion Fatigue and Chronic Sorrow Specialist and BC Registered Clinical Counsellor with a Master's degree in Mental Health Education. After 10 years as an acute and critical care nurse, 19 years as a trauma and grief therapist in private practice, and 7 years as a family carepartner caring for my husband until his death from heart failure in 2004, my passion is helping people-who-help-people to live well with the stress of their personal and professional care-giving. * the Enneagram as a counter to emotional reactivity at work and at home. I would be delighted to hear from you! Vancouver, BC based, Caregiver Wellness Workshops offers renewing, interactive, discovery-based presentations to helping professionals, volunteers and family caregivers interested in healing compassion fatigue, building stress resilience and improving personal and professional selfcare. I think your presentation was fantastic, and this sentiment was shared by everyone I spoke to! I was most curious to hear feedback from the psychologist who works in my clinic, as this is more her area than mine and she thought you were absolutely stellar! I think that your area is very much overlooked for all healthcare professionals, and an area that has huge impact on patient care! I found myself (talking) about your lecture to one of the physicians I work with who commented that you would be great for our hospital wide rounds here and/or their physician wellness program. I did forward your contact information and hope that more people can benefit from your expertise! I sincerely hope to be able to hear you speak again. You have a refreshing and real take on things. Jan developed several workshops for health care professionals and nonprofessionals. Evaluations were very positive. They remarked on Jan's ability to connect with people on a deep level and to effect change in outlook and practice. Jan is an OUTSTANDING adult educator! The learners nod their heads in recognition and understanding. I attended the in-service you gave September 20th with the MS Society. The information and techniques you shared were wonderful and definitely made a profound impact on everyone I spoke with. I think the most important aspect was that the information is excellent to share with caregivers we interact with, but also a critical "pit stop" for us all to do some self reflection. Terrific presentation - well timed for me! Thanks for tossing the lifesaver! I will recommend this workshop. Just simply excellent! Your presentation was well paced, well-organized, thought-provoking and very empathic. Excellent content and suggestions with wonderful vignettes of your personal experience. Your insights were calming and supportive of our experiences. Feeling inspired! I will take home so much from this day to use for a lifetime. Absolutely the most helpful workshop I have ever been to. I've come away feeling better able to cope with the work I do. Jan, thank you! through Saturday. Please email me at caregiverwellness@shaw.ca for a Speaker Information Kit with rates and details. Workshops can be booked by agencies and organizations or by more informal groups of 12 or more individuals who locate their own venue and share the speaker's fee and expenses. If you are outside the Lower Mainland and hope to reduce travel costs, try checking the schedule for a time when I am already in your community and choose a date close to that time. I am sometimes able to teach at short notice so please do ask. I may have a time slot available for you. CF is a serious but natural negative consequence of working with people who are suffering or traumatized. It is a trauma response that causes symptoms of posttraumatic stress culminating in a helper's loss of capacity for, or interest in, being empathic or compassionate with others' suffering. It almost always coexists with burnout. Burnout is the effect of our perceived workplace demands exceeding our perceived resources. It is experienced as deep and profound physical, mental, and emotional exhaustion; depersonalization of one's care recipients; and loss of a sense of personal accomplishment. Chronic Sorrow is the natural, yet often unrecognized or misdiagnosed, profound, pervasive, recurring and ongoing episodes of grief experienced by people with permanent impairments and those who love them. Because the illness or disability lasts the lifetime of the person who is ill, so does the grief. The Enneagram (pronounced ANY-a-gram) is a surprisingly accurate and dynamic system of nine fundamentally different personality types. Each type has different patterns of thinking, feeling and acting and a different unconscious motivation. Each person within a type sees the world and responds to it in similar ways. The Enneagram differs from other personality typing systems like the Myers-Briggs in that it focuses on the motivation behind our behaviour rather than the behaviour itself. Rather than "putting people in a box", as some might assume, the Enneagram helps to free us from the "box of our unexamined personalities". By working with the Enneagram over time, we develop a deeper understanding of ourselves and others and learn alternatives to our own habitual patterns of behaviour. We can break free from worn-out coping strategies, become more accepting of ourselves and others, and begin to see life from a broader, more compassionate perspective. The Enneagram is particularly useful to those seeking Compassion Fatigue resilience as it can help us to identify our personality-based areas of emotional reactivity (the things that push our buttons). And, when combined with appropriate self-regulation strategies, it offers us individualized pathways for returning to a state of calm. how to hear the birds sing. The information on this website is meant for education purposes only and is not to be taken as a substitute for medical care or mental health treatment. All images are by BigStock Photos unless otherwise noted. Jan Spilman. Powered by Blogger.